Protesters across the country on Saturday called for the end of Trump's "zero-tolerance" policy. Thousands gathered at SeaTac's Federal Detention Center, speakers called for the crowd to move forward to fit more people into the area. 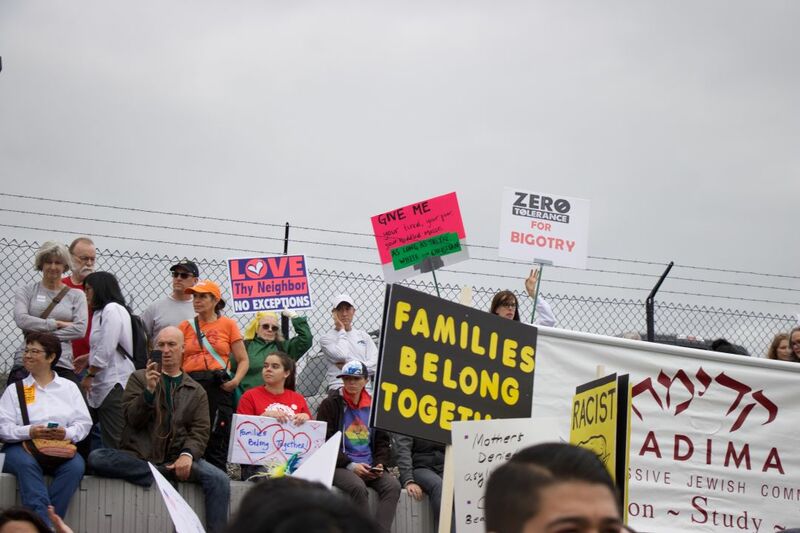 In an emotional and much larger than anticipated rally, an estimated 10,000 protesters gathered Saturday at SeaTac's Federal Detention Center, where agencies are detaining asylum seekers, to call for an end to the separation of families crossing the border. "Take the energy from today to the ballot boxes in the fall," said Dania Nuñoz, a DACA recipient and community organizer with OneAmerica, as tears ran down her face. Nuñoz shared her own story of crossing the border and the trauma she experienced when she was separated from her mother for a week. 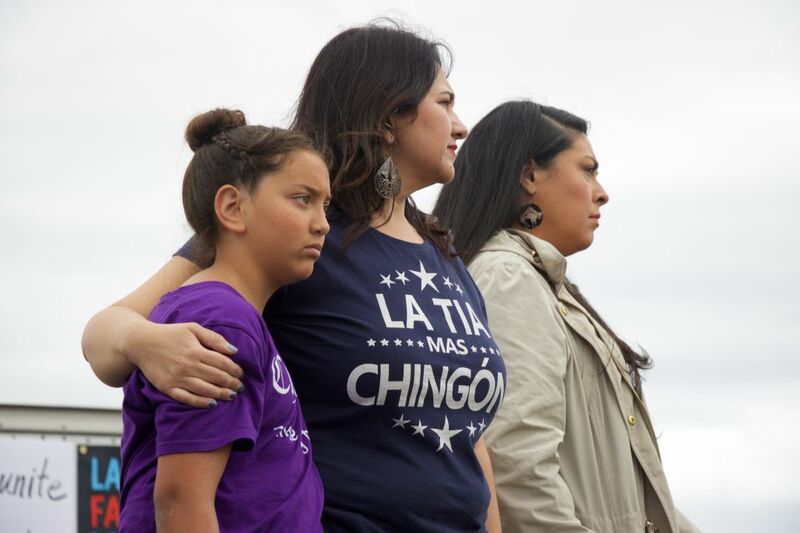 While the rally was centered on the separation of families, people streamed in from the Angle Lake light rail station carrying signs that denounced a range of policies federal officials are grappling with, from the travel ban, to the border wall, to women's rights, to the crisis of missing and murdered Indigenous women. An estimated 200 asylum seekers are being detained at the SeaTac federal prison, dozens of whom say they had been separated by their children. Three detained mothers through Northwest Immigrant Rights Project sued federal agencies demanding that they reunite the families, while attorney general Bob Ferguson and 16 other states sued president Donald Trump's administration. An Immigration and Customs Enforcement spokesperson confirmed that the agency is using federal prisons across the country to implement Trump's "zero-tolerance" policy announced in May; more than 2,300 children across the country have been separated from their families. Local officials including Seattle mayor Jenny Durkan also attended the protest, which was organized by a coalition of nearly 40 local organizations. It was about as large as the emergency rally held at Westlake Center in January 2017 in response to Trump's first travel ban affecting Muslim-majority countries. Shahid Haq, who immigrated from Pakistan 29 years ago, attended the rally on behalf of the Cherry Street Mosque and carried a banner that read "Justice for SOME is not justice." Fé Lopez and Colleen Echohawk stand on stage during the Families Belong Together rally outside SeaTac's Federal Detention Center on Saturday, June 30. Speakers referenced historical events such as Japanese internment camps and Indian boarding schools to illustrate a theme of the rally, that the separation of families is nothing new in the U.S.
Malou Chávez, deputy director of Northwest Immigrant Rights Project, said those in the detention center were "incarcerated, not detained." "We let them know that outside the walls, there are people supporting them," Chávez said, "and that makes them very hopeful."